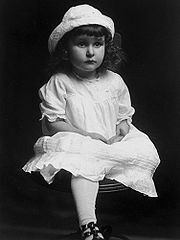 Claudia Alta "Lady Bird" Taylor Johnson (December 22, 1912 – July 11, 2007) was First Lady of the United States from 1963 to 1969 during the presidency of her husband Lyndon B. Johnson. Throughout her life, she was an advocate for beautification of the nation's cities and highways and conservation of natural resources and she made that her major initiative as First Lady. After leaving the White House in 1969 and her husband's death in 1973, Lady Bird became an entrepreneur, creating the $150 million LBJ Holdings Company, and was a recipient of the Presidential Medal of Freedom and the Congressional Gold Medal, the highest civilian honors. In 1993, Johnson's health began to fail. In August 1993 she suffered a stroke and became legally blind due to macular degeneration. In 1999 she was hospitalized for a fainting spell and, in 2002, she suffered a second, more severe, stroke, which left her unable to speak coherently or walk without assistance. In 2005, she spent a few days in an Austin hospital for treatment of bronchitis. In February 2006, Lady Bird's daughter Lynda Johnson Robb told a gathering at the Truman Library in Independence, Missouri, that her mother was now totally blind and was "not in very good health." In June 2007, Johnson spent six days in Seton Hospital in Austin after suffering from a low-grade fever. At 4:18 PM (CDT) on July 11, 2007, she died at home of natural causes, surrounded by members of her family and Catholic priest Father Robert Scott. At Johnson's funeral service her daughter Luci Baines Johnson remarked that one week before her death she made a public appearance and visited the Blanton Museum of Art. "It was a scene: mother was on IV, oxygen tube and a feeding tube. It looked like a mobile hospital. But she had a wonderful time," Luci said. Three weeks before Lady Bird's death, the rector of St. Barnabas Episcopal Church in Fredericksburg, which had been her second home for over 50 years, had announced to his parishioners that she had given $300,000 to pay off the church's mortgage.